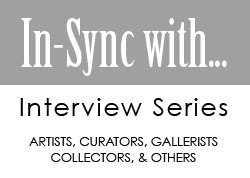 Have you ever been asked to facilitate an Artist Talk during your solo exhibition? Chances are that if you have been showing for a while, you have been asked. Perhaps more than once. Yes, it is the dreaded “artist talk” many artists fear about. There are good reasons indeed. For once, you are in the spotlight and people are staring at you and your every move. Aren’t we supposed to make the art and let the people figure it out on their own? Well, it turns out Artists Talks are not such bad idea after all and you do not have to be intimidated by them. In fact, a successful talk may result in greater self-confidence, can lead to increased sales, greater friendships, new connections and future opportunities. And, who wouldn’t want this? Since I just did a 50-minute artist talk a few days ago, I guess I am in the mood of sharing a few tips to help you prepare for your next artist talk. By the way, you can watch my artist talk in the video below. But before I do that, let me clarify that in this post, when I am referring to an Artist Talk, I am not referring to a lecture like the one you would give to an audience seating in an auditorium while showing images of your work. Instead, I am referring to a talk where you’re addressing a mixed audience attending an exhibition of your works. To me, a lecture requires a more in-depth preparation although many of the tips I’m sharing below can also be applied. Before I dig in, l personally believe that the purpose of an artist talk is not to explain the meaning of each work. To do so would be to imply that the viewer is not capable of reading anything from your work. On the contrary, I believe a good artist talk will make the viewer engage more in depth with the work. The talk should provide context and present a point of departure for a deeper conversation between the viewer and the work. 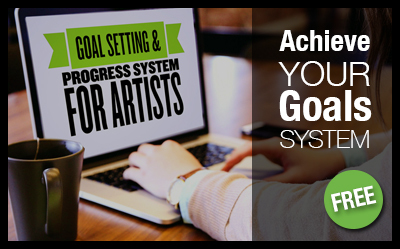 At the Art NXT Level, we have coached many artists as they prepare for their artist talks. The first mindset block we help them overcome is to realize that no one knows more about your work than you do. Maybe others may have fancier words to describe or analyze it but, the bottomline is you know your work better than anyone else. After all, it is your very own creation. You were there when you did it. You chose the size, medium, subject matter, style, color scheme, frame, and so on. Sometimes our minds play tricks on us leading us to believe that somehow, the audience is smarter than us or that they will not believe that what we are saying is true. I have also hear the statement “but I will sound so boring.” The fact is that making art is not easy. If it was anyone could do it. And, you would not be the one asked to talk about it. If people attend the talk is because they want to hear what you have to say. Otherwise, believe me, they would have chosen something else to do. When it comes to your own art, you are the expert in the room. This simple storyline, allows you to move from one point to the next and not jump around. It is straight forward and easy to follow. Perhaps an index card with additional notes may be prepared for each point in the storyline. The same can be done with a chronological presentation. Once you have a good storyline to follow, practice!! The audience will follow you at your pace. You set the drum beat, we follow. Take your time, don’t rush. Before I do any kind of public speaking, I take a couple minutes to practice my breathing. There are tons of breathing techniques for speakers you can follow in YouTube. Here is a 4-minute one I recommend for you next time you have to speak in public. When it comes to engaging your audience often we think that we have to sound smart and sophisticated in order to get attention. I have learned over the years that the complete opposite is true. Some of the best and most watched Ted Talks often are the ones that provide facts around great stories. Stories is a wonderful way to engage your audience. As artists, we have stories to tell. We can tell the story of how the work was born, how we discover a technique, how we were moved to create something, and so on. I have found this to be an incredible way to help people connect with your work. It never fails that after a talk, someone approaches me to make a comment about a story I told. This means, direct the audience to the work not you. If you get nervous when people are staring at you, no worries, direct them to the work. Point out in the direction of a particular work as you talk about it. Give insights on specific details about a work and point at it with your hand. Help people engage with the work if you want them to consider living with the work (buying the work). One of my favorite artist talks are the ones I can actually walk in the show with the audience. I have found that people do not mind moving around. In fact, it helps them stay with you instead of daydreaming or dozing off. This of course may be difficult in small galleries but try it as much as you can. Whatever you do, please move a little and use your hands as you speak or at least to point at things. Our attention span is so short that we all need some physical movement to stay engaged. The truth is, most artists are not professional speakers nor are interested in becoming one. Therefore, it’s ok if you forget something. It is ok if you have to clarify something or rephrase a statement if you feel you did not express it correctly. It happens to all of us at some point or another. In the last artist talk I gave (see video above), I completely forgot the word “generation” for some strange reason. For the life of me I could not remember the word and I went blank in front of my audience. So I had to take a few seconds and explain in other words what I meant. Awkward moment! I know, but it may happen. If it does, be gracious and don’t let that fog your thoughts. Most importantly, we always have to be sincere and truthful. Do not over dress the facts or exaggerate the stories. Most of us can smell a phony or fact check the story later on. Being sincere and truthful in your talk will go a very long way. Don’t be afraid to smile, laugh or make a funny remark if that is your personality. Just be you and everyone will appreciate that. Yes, if you happen to need help in this department, seek help and advice. There is no shame in asking for help. In fact, I have done it many times. When we started the Art NXT Level podcast, I did not know how to speak to an audience through the microphone. I enjoyed live talks but speaking to an audience I don’t see is actually hard. It gets worst when you listen to your own recording. So I admitted my limitation and searched for professional advice. Instead of just relying on Youtube tutorials, we joined an online class. Eighty episodes later, I can say that those mindset blocks are under control. If you need professional help in this area, do not hesitate to contact the Art NXT Level. Artists often struggle to manage all the aspects of their art career. Art NXT Level provides them with a professional online platform to grow their art career so they can build a successful business. Visit us at www.theartistnextlevel.com. What has been your experience in this topic? If you have additional tips to share, please post your comments below and don’t forget to share the post with your artists friends.